Right next to the buildings of the Francke Foundations I came across this fascinating architecture. 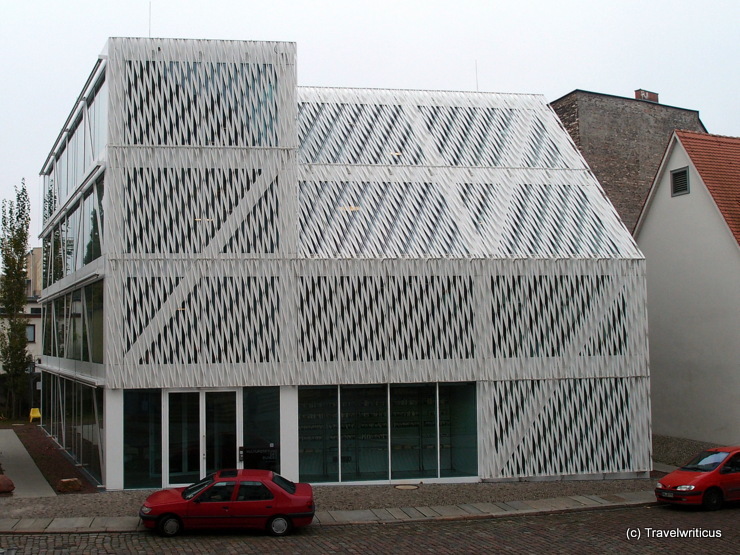 It’s the headquarter of the German Federal Cultural Foundation (Kulturstiftung des Bundes). The purpose of this foundation is to promote and fund art and culture within the framework of federal responsibility. This entry was posted in Architecture and tagged Germany, Halle (Saale), Saxony-Anhalt by Travelwriticus. Bookmark the permalink.